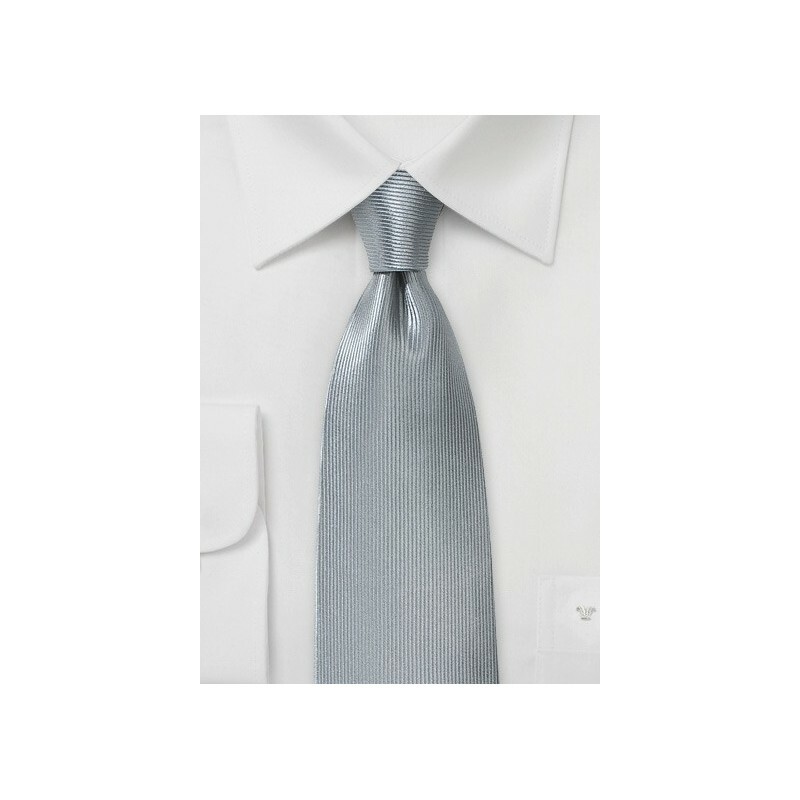 A classic and festive silk tie in a shiny metallic silver color. 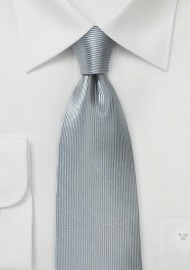 But it is not the color that makes this tie stand out. It is the fabric! Take a look at the vertical ribbed texture that the designer created thanks to a special weaving technique. It reminds us of a corduroy fabric but instead of using cotton, only the finest silk threads were used to create this stunning effect. This collection also comes in 16 other colors.